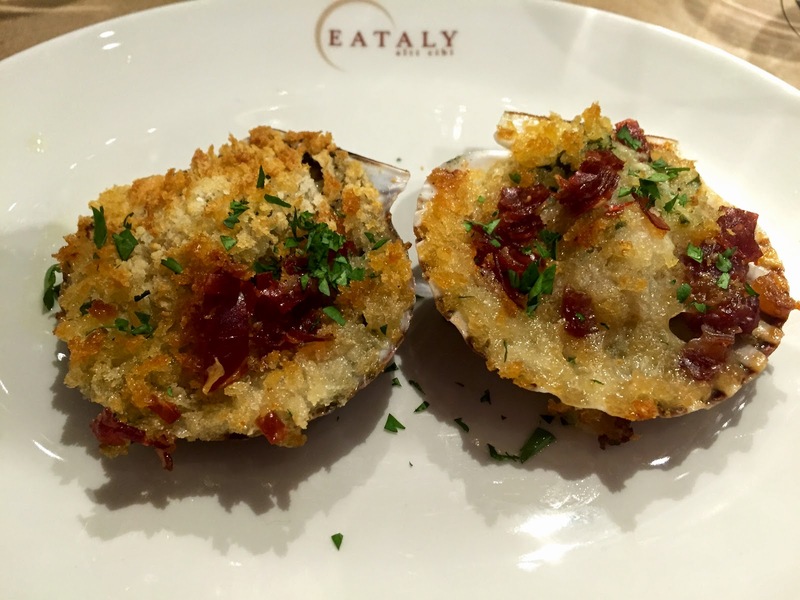 Eataly celebrates a different area of Italy each month and December is all about Veneto; a region in northeastern Italy with a wine history dating back to 1800 B.C. and the foremost wine producing region in the country. 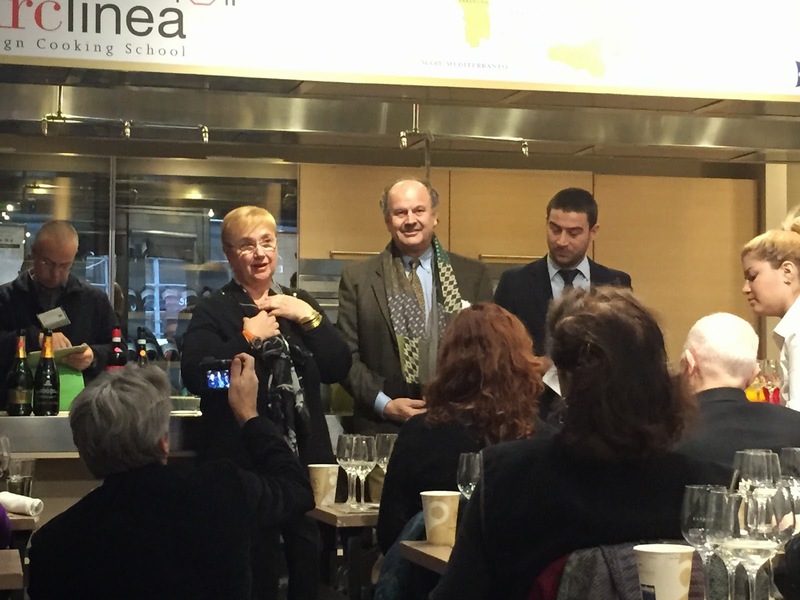 I was invited to kick off this month's festivities with a Master Class from the Chef at La Scuola showcasing the fabulous wine and food from this region. 1st Course Capesante Grantinate- Scallops with compound butter, garlic, parsley, prosciutto and homemade bread crumbs paired with three different sparkling wines; the dry and fruity Prosecco Spumante, a soft, peachy Prosecco Superiore and my favorite the rich Lessini Durello, a sparking alternative from the Lessini Mountains. 2nd Course Carpaccio Con Radicchio- Beef Carpaccio with beets, baby carrots, radicchio, fennel, brussels sprout and lemon paired with the white wines of the region; the soft and savory Soave, a clean, fruity Custoza and a mineral driven Laguna. 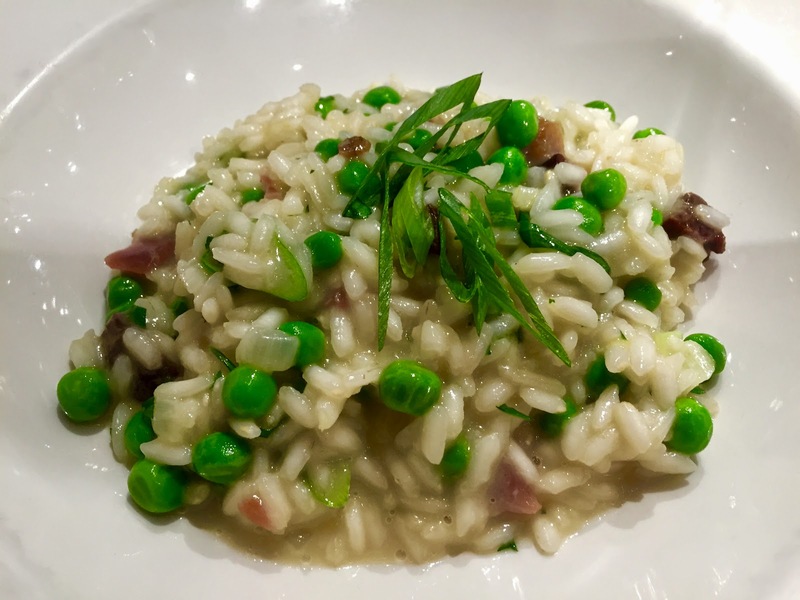 3rd Course Risi & Bisi- Shelled Pea & Scallion Risotto paired with two reds the light, salty Bardolino and a dry, rich Valpolicella. Each dish displayed such clean, bright flavors that complemented the wine without taking center stage. The presidents from all eight Consortiums were on hand to present each wine and even Lidia Bastinach popped in to celebrate with everyone. 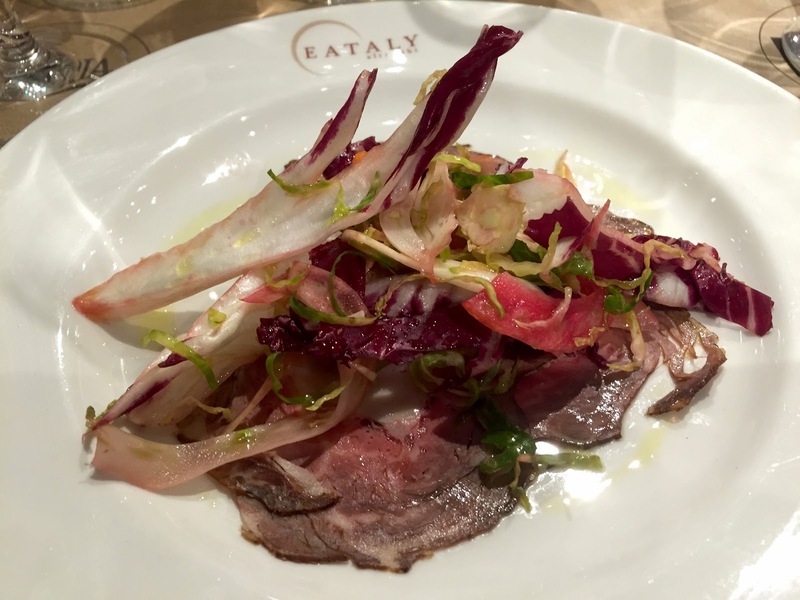 The restaurants of Eataly will be featuring these food and wine pairings all month and Eataly Vino will host a series of wine tastings December 12, 19 & 26th. You can check out the full event schedule here.